THE BEST WAY TO LEARN ABOUT ISLAM IS FROM MUSLIMS. 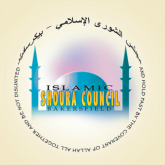 The Bakersfield Islamic Conference is an annual event in which the Bakersfield Muslim Community reaches out to the greater Bakersfield community at large in an effort to provide accurate information about Islam. The event is intended to build bridges of understanding between Muslims and our Non-Muslim neighbors, friends and family. The featured speaker and topic of the conference change each year. However, the speaker is usually a nationally recognized leader who is highly qualified to discuss the many facets of Islam. Although Muslims are welcome to attend, the event is intended to provide Non-Muslims an opportunity to hear the truth about Islam straight from Muslims. The Conferene is absolutely free of charge and open to the public.